Traffic police in charge of Bangkok streets will be required to take exams to test their knowledge about the new traffic laws, says a deputy commissioner of the Metropolitan Police Bureau. Pol Maj Gen Jirasan Kaewsaeng-ek, deputy metropolitan police chief, said many new traffic cops had been appointed ahead of a new land traffic amendment bill that will take effect in May, and traffic police in Bangkok would need to sit exams to test their knowledge. The amendment bill was enacted by the National Legislative Assembly on February 22. Jirasan said the new traffic law had several changes, including a requirement for police to record and reduce points of motorists who violated traffic laws. Passing mark 20%. Thats the requirement. Might be the first time taking the exam for some. No tax . 400 bBht. Driving on the road. 400 Bht. The only thing they are interested in. Get some money for their lunch. This is a positive move. Need to bring them up to speed. Awfully embarrassing if they hold out their greased palm for breaches of law which don't exist. Why only Bangkok ? The rest of the Kingdoms police officers need more training as well for gawds sake. And....the new 'ahead-of-time' answers to the new law exam will cost five thousand new Baht. 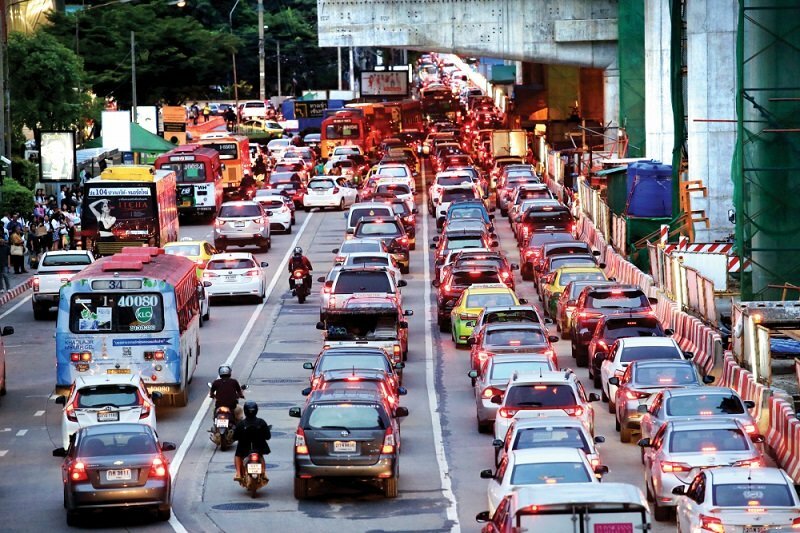 new land traffic amendment bill that will take effect in May, and traffic police in Bangkok would need to sit exams to test their knowledge. They must wait until after Songkran - wouldn't want the police to know what they were doing during the 7 (21? ; 365?) deadly days. What are the consequences if they can't pass the 'law' exams? Bangkok is the centre of the universe don't you know? ".. exams to test their knowledge about the new traffic laws." While they are at it, how about exam covering old traffic laws too? I've been informed by several people that one of the questions in the Driving Test Exam is, "When is it OK to drive-up a one-way street the wrong way (or words to that effect)". Apparently, the correct answer is, "When nothing's coming the other way". Perhaps, before any new laws are implimented, the powers-to-be might want to amend some of the old ones, although I don't suppose it'll make a blind bit of difference; it won't lower the road-kill toll. One of the first things they need to learn is how to sew extra pockets on to their trousers. Why do they need to take exams to learn any kind of law? This is Thailand, and most of the BiB are like the IOs and banks, they will just make up their own laws. Different laws for different police stations.